Joe Fortenbaugh lives for football – and football betting. Co-founder of NationalFootballPost.com and sports talk radio show host on "95.7 The Game" in San Francisco, this former law school graduate is one of the most well-connected football writers in the country, covering everything from breaking NFL news, Fantasy Football and betting action in Las Vegas. Joe also closely follows the NBA, PGA Tour and the biggest prize fights in boxing and has been featured in USA Today, ESPN, Sports Illustrated and Vegas Chatter.com. Do the Magic and Nets really stand a chance against the Raptors and Sixers? Will the Rockets roll through the Jazz en route to a second-round showdown with the Golden State Warriors? Which sides and totals should we be eyeing up for the eight pending Game 2s? Joe Fortenbaugh visits with FS1’s Jason McIntyre to discuss those subjects and more. For many, the golf schedule doesn't officially start until the first major tournament of the season: The Masters. 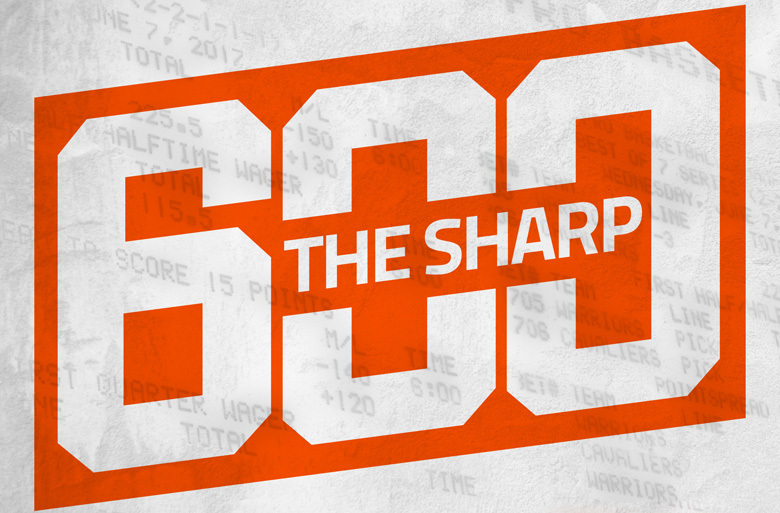 If you're sizing up the PGA odds and best bets for the Masters, let The Sharp 600 be your guide. Host Joe Fortenbaugh welcomes Joe Peta to the podcast, breaking down the all the angles for Augusta National and which golfers are worth a wager. The Sharp 600: Vegas wiseguy Bill Krackomberger talks NCAA Finals betting and behind the scenes of "Action"
Joe Fortenbaugh gives out his picks and predictions for Monday night's NCAA championship game showdown between Virginia and Texas Tech, and also chats with professional sports bettor Bill Krackomberger, who stars on the new Showtime series, “Action.” What does Krack think of Vegas Dave? Well, there’s only one way to find out. Virginia vs. Auburn and Michigan State vs. Texas Tech. Just like we all drew it up, right? Joe Fortenbaugh welcomes professional sports bettor Preston Johnson (“Daily Wager” on ESPNews, M-F, 6-7:00pm eastern) back to The Sharp 600 to share his thoughts on Saturday’s matchups in Minnesota. Sides, totals, you name it, we discuss it. Will the Cleveland Browns cash Over tickets by winning 10 games for the first time since 2007? In which direction is the sharp action firing on the early NFL win totals. Joe Fortenbaugh visits with Will Bernanke, Lead Analyst for CG Analytics, to discuss those questions and of course there's a pick for tonight's NBA games thrown in as well. Joe Fortenbaugh lays out 4 basketball bets that he likes before jumping into a great conversation with Doug Kezirian, who hosts “Daily Wager” on ESPNews, Monday-Friday from 6-7pm pacific. Sound good? We thought so. Ladies and gentlemen, the Madness has finally arrived! Welcome to The Sharp 600’s tournament picks & predictions episode. Joe Fortenbaugh talks with bracketologist Brad Evans from Yahoo! Sports for insight on how to attack your office pools, but not before he drops three of his favorite opening round selections on you. Let’s take a look at the early action that's been flowing in on the first round of this year’s tournament, shall we? Westgate Las Vegas SuperBook Race & Sportsbook Manager Ed Salmons joins Joe Fortenbaugh to talk tourney sleepers, value bets, first-round matchups and whether or not the committee got it right. Oh, and wait until you hear what Ed had to say when asked how many points Zion Williamson is worth to the spread. How did the Odell Beckham Jr. trade alter Cleveland’s Super Bowl odds? Is Antonio Brown the playmaker capable of putting the Oakland Raiders over the top? Why do the Patriots continue to dominate the NFL without spending big bucks on the open market? For answers to those questions and more, Joe Fortenbaugh visits with John Murray, the Race & Sportsbook Manager at the SuperBook at Westgate. It’s a throwback edition of The Sharp 600 as Joe Fortenbaugh goes guest-free to break down Tuesday night’s marquee NBA showdown between the Golden State Warriors and Boston Celtics.Joe has an opinion on the side but loves this angle for one specific quarter bet. 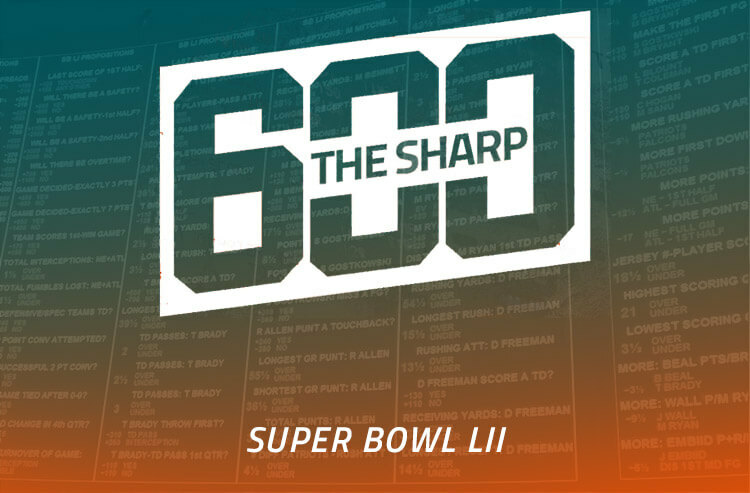 We're bringing you a special two-part Super Bowl LIII extravaganza of The Sharp 600. First, Joe Fortenbaugh talks to 17 industry insiders laying out their favorite prop bets. Second, he turns to good friend Matt Bowen, who spent 7 years in the NFL before becoming an analyst for ESPN to break down the Big Game. On Thursday evening, the Westgate Las Vegas SuperBook released 440 proposition bets for Super Bowl LIII. Which options saw the most action from the wiseguys in attendance? Joe Fortenbaugh welcomes John Murray, the Sportsbook Manager at the Westgate, for an early action report. Super Bowl LIII is set as the New England Patriots and Los Angeles Rams prepare to do battle in Atlanta on February 3. For an early action report on the biggest game of the season, Joe Fortenbaugh turns to Ed Salmons, the head oddsmaker at the Westgate Las Vegas SuperBook. Will Jared Goff and the Rams have more success in New Orleans the second time around? Can you trust Andy Reid and the Chiefs to take down Bill Belichick and the Patriots? For answers to these questions and more, Joe Fortenbaugh heads to Atlantic City to talk with VSiN’s Jonathan Von Tobel (Host, “Betting Across America”). Which positions have the sharps established in the build-up to the AFC and NFC Championship games? Joe Fortenbaugh visits with the Vice President of Risk Management for the Westgate Las Vegas SuperBook Jeff Sherman to get an idea of which way the action is flowing. Fortenbaugh and Sherman also discuss Super Bowl LIII advanced lines as well as 2020 Super Bowl futures. Underdogs went 4-0 ATS during the Wild Card round and have now covered the number in 10 straight playoff games. Should we expect that trend to continue this weekend? Joe Fortenbaugh visits that topic and previews each of the four Divisional Round matchups with professional sports bettor Ace Karalis in this episode of The Sharp 600. 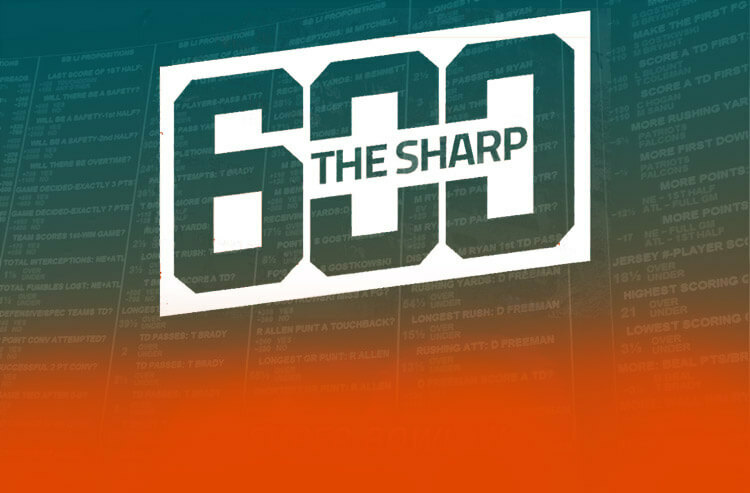 The Sharp 600: NFL Wild Card Weekend and National Championship bonanza! And then there were only two. It’s Alabama and Clemson for the 2019 National Championship and Joe Fortenbaugh is here to preview Monday night’s showdown at Levi’s Stadium in Santa Clara with ESPN’s Doug Kezirian, who also offers his thoughts on each of the NFL’s four Wild Card matchups this weekend. Is Jason Garrett primed to win his second career playoff game? Will the Chargers exact revenge for their Week 16 loss to the Ravens? Turn on, tune in, drop out. It’s the final episode of the year! Is UCF headed for a 26th straight win? Will Urban Meyer exit Ohio State a winner in the Rose Bowl? Where can we find value as it pertains to Sunday’s NFL card? Joe Fortenbaugh visits these topics and more with Sam Panayotovich of the Vegas Stats & Information Network and “Chicken Dinner” podcast.